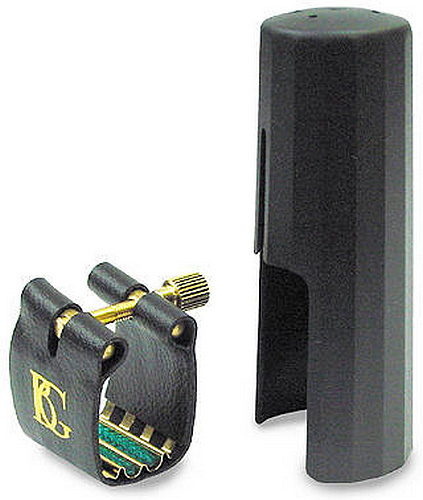 This BG ligature and cap set fits most ebonite tenor mouthpieces. This super revelation ligature has a leather exterior with a gold plated touch plate for a brilliant compact sound with easy staccato. Took a while to get it fixed in position, with it clamped tight. Sound good, found it easier to get bottom C#, and B. Went for the expensive model, not sure if the cheaper one would have sounded the same. If I was able to get to the shop I would have done a comparison, but a bit difficult from the Isle of Wight!